To say the Cross Country is an important motorcycle to Victory is an understatement. Introduced in late 2009, by the following year the bagger was already the Minnesota-based company’s best-selling motorcycle. And with good reason. We take Victory’s newest touring motorcycle, the 2012 Cross Country Tour, out for a 1500-mile romp across four states on our way to Sturgis. 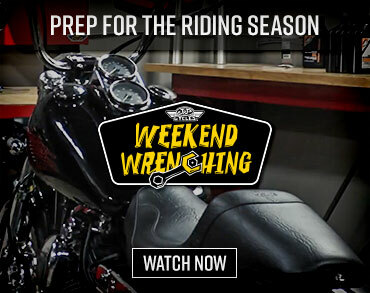 Get the scoop in our 2012 Victory Cross Country Tour First Ride Video. It provided a fresh face in the factory bagger segment with the edgy lines of its fork-mounted fairing, a beautifully crafted tank with a raised spine, sharp lines and strategic recesses, and handling its competitors wished it could match. It also was instrumental in pushing the company from #5 to the #2 slot in the heavyweight cruiser segment (1400cc+). For 2012, Victory Motorcycles gave the Cross Country full touring credentials and dubbed it the 2012 Cross Country Tour. New features include a taller windshield, the addition of a big topcase which doubles as a passenger backrest and includes extra speakers for the stereo system, new lower fairings and a slick new system of vents and deflectors which allow riders to channel air flow to their liking. Made for the long haul, we set out to test it on the open road with a 1500-mile adventure to Sturgis and the Black Hills. (L) The 2012 Cross Country Tour beefs up Victory’s presence in the touring motorcycle segment. (M) The cockpit of the Victory Cross Country Tour features big, round gauges with easy-to-read dials for speed and tach. The gear indicator is a nice touch, as is the clock and outside temp readout. (R) With excellent range, sharp handling, comfy ergos and standard amenities like cruise control, heated seats and heated grips, the 2012 Cross Country Tour is ready for the long haul. competitors but get it above 2800 rpm and it delivers the goods. Dual 45mm throttle bodies provide an even flow for the electronic fuel injection despite our steady climb in altitude. Roll-on will easily shoot you past slow-moving cars, as long as you’re not lugging it at a low rpm in overdrive sixth gear. The Freedom 106 is smooth and well-balanced, with no major vibes despite being a solid-mounted engine, which makes long stints in the saddle that much more bearable. The single overhead camshaft V-Twin is both air and oil cooled but on several occasions, especially in stop-and-go traffic, there was a noticeable amount of heat on the inside of our left leg. While its big V-Twin is notable, the Cross Country Tour’s handling is even more impressive. Riding through Rocky Mountain National Park gave us ample opportunity to tilt the bike into tight turns and with a claimed 32-degree lean angle, clearance is not a problem. You’ve really got to crank the bike over before you scrape any hard parts and riders can enter turns aggressively because the CC Tour stays firmly planted. Steering is predictable and stable when leaned over. Sourcing a hollow, sand-cast aluminum frame not only helps shave off a few pounds but also stiffens up the ride on the well-sorted chassis. 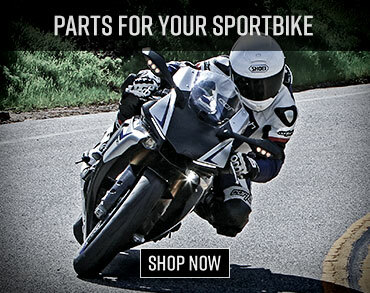 Give an assist to its inverted fork and rear monoshock with constant rate linkage . The combination of a 130mm front and 180mm rear tire provide harmony with the road, assisted by the solid grip provided by the Dunlop Elite 3 radial tires. The bike has big floorboards which are not only mounted plenty high, but with the absence of a heel/toe shifter, allows riders to slide their feet forward and back in order to move pressure points around on bun-numbing stints in the saddle. During slow speed maneuvers, the extra bulk of the topcase and added weight of the new features becomes noticeable in comparison to the standard Cross Country as at a claimed dry weight of 845 lbs, it tips the scales a full 80 lbs heavier and is 3.7 inches longer. The Comfort Control System of Victory’s Cross Country Tour features manually adjustable vents built into the lower fairings. 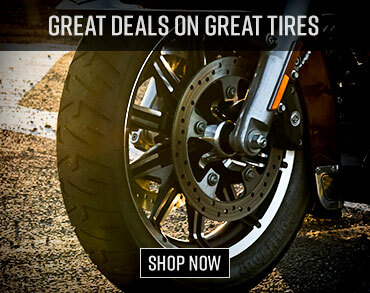 Big dual discs up front and standard ABS provide a braking system riders can be confident in. At first we were concerned with the lack of bite to the front brake because we had to pull the lever almost to the stop to get the four-piston calipers to dig in until we realized the lever is five-way adjustable. After tightening up the slack, the twin 300mm floating rotors responded as they should. ABS is standard on the 2012 Cross Country Tour and the system isn’t overly obtrusive, engaging only with a good stab of the brakes. The pulse at the pedal is less unnerving than the system found on its primary American V-Twin competitor. Our primary grievance with the system deals not with functionality but with location. The foot peg for the rear brake could be situated out more because the tank is so wide, I couldn’t get my foot on it easily. The Cross Country Tour features a six-speed overdrive transmission that received heavy revisions last year, like increased gear tooth counts, revised gear ratios and a trimmed down drive sprocket. The initial pop into gear is still a bit mechanical but its helical-cut gears engage reliably. Its centrifugal Neutral Selection Assist made slipping into neutral simple. Gearing is fairly tall so we spent the majority of time in 5th gear because we like the extra power on the highway. Comfort is king on a touring bike and fortunately the seat of the Cross Country Tour is what we call a true all-day saddle. It’s ultra-comfortable, even after a 500-mile ride. Ergos are upright and relaxed, and the taller windscreen is a noticeable improvement. We can attest that the new Comfort Control System works. With the vents closed, it shelters riders well from the wind. Open them up and you can tailor the flow of air how you like it. The two deflectors mounted at the base of the fairing channel air to the upper body while the vents built into the lower fairings control the flow to the legs. The upper deflectors are easy enough to reach and adjust while in motion, but you’ll want to pull over to reach the lower fairing vents. Victory claims the Cross Country Tour has “Best-in-Class” storage. After seeing how much stuff we could cram into it, we have to agree with them. There’s a phenomenal amount. Between the cubby holes in the lower fairings, saddlebags and trunk, the Cross Country Tour has a claimed 41.1 gallons of storage space. Its topcase is huge, lockable and the twin latches make for quick, easy access. The 21.3-gallon saddlebags hold plenty in their own right and come equipped with chrome rails that double as tip-over protection. But the latches of the saddlebags hook-and-tab system can be fickle, so be sure to push down on them firmly until you hear them click together. We traveled over the Rocky Mountains to Sturgis, then took a ride out to Devils Tower during our 1500-mile shakedown of the Cross Country Tour. located with easy-to-read dials. A digital gear indicator is a nice touch, as is the clock and outside temp readout. It was cool to know our ride up the Rockies started at 88 degrees and dropped to 53 degrees at the top of the 12,000+foot pass. The blue backlights ensure everything’s easy to read, even when the sun goes down. Our left thumb was busy picking songs from the playlist of our iPod which was tethered in the cubby hole of the left lower fairing or cranking up some good ol’ FM radio. Automated volume controls that pump up the jams when getting up to highway speeds is a bonus, too. The cruise control system in the control housing dangling from the right handlebar is fairly idiot proof, simply accelerate to the desired speed and push the button to engage. With a healthy 5.8 gallon tank, the 2012 Cross Country Tour can easily squeeze a couple hundred miles in between trips to the gas station. We did discover a few sniglets with fueling though. We found out it’s best to tilt the handle of the gas pump to the left or else it spits gas droplets on that great-looking tank. The gas needle also stays on “Full” forever, but when it starts to drop, it goes fast. At 80 mph, I could literally watch the needle drop to “E” when it reaches the quarter-tank mark. Up until now, buzz in the luxury touring realm this year centered on the updated Honda Gold Wing and BMW K1600GT. But with its combination of power, handling, comfort and storage, the 2012 Cross Country Tour is another touring force to be reckoned with.